Comfort and style is provided by the Land Rover Discovery no matter where you take it. This dynamic SUV serves to offer a smooth ride over rugged terrain. From city to country, the Land Rover Discovery is more than up to the task. 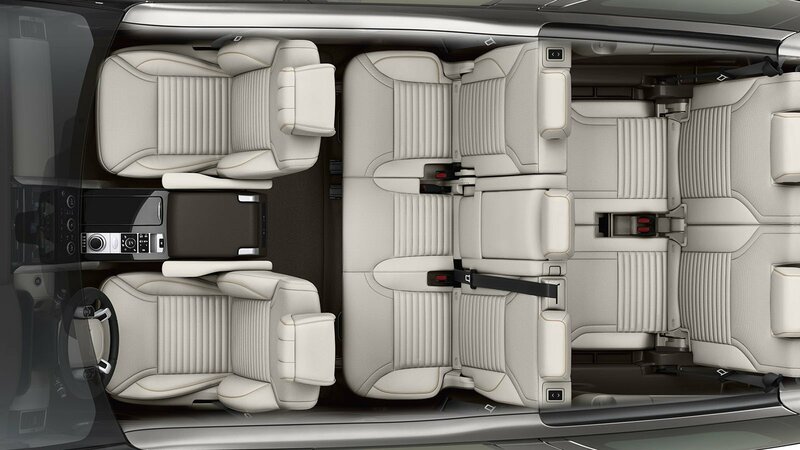 The Land Rover Discovery has a user-friendly cabin space with a modifiable seven-seat layout. It offers spacious storage alongside your superior comfort. The Intelligent seat fold mechanism lets you configure the second and third row seating just from the vehicle touchscreen. Only the latest infotainment technologies have been put in the Land Rover Discovery. It provides the driver with the highest levels of connectivity and information. There is a Meridian™ audio system along with the InControl Touch Pro screen. Driving, parking and towing aids are also included. Your Land Rover Discovery looks like it belongs in the city, but also strives in off-road driving conditions. It has a towing capacity of 3,500 kg with a variety of accessories that makes your towing easy and effortless. The Land Rover technologies and optimized design geometry help ensure your SUV excels over various terrain environments.